Imagine what it would be like if the trading cryptocurrencies had no trading fees and there were no exchange hacks! Surreal? Well, no. No trading fees and no exchange hacks are soon to happen in the real crypto world! I would also like to tell you that in this cryptosphere, the stories of exchanges being hacked are not new. Such incidents mainly happen because there are centralized exchanges that provide trading services. These centralized exchanges also want to earn and increase their profits by having their cut of trading fees and decentralized exchanges are not here yet. But if there are no trading fees, I guess there would be NO incentivization of centralized exchanges and hence there would be neither exchanges nor hacks related to them. To make all of this possible, a new technology called atomic swaps has come in which will make this cryptosphere safe and more mature. Atomic swap is a cryptographically powered smart contract technology that enables two parties to exchange different cryptocurrencies/tokens without the risk of one party defaulting on the trade. The real beauty is, this exchange/trade between involved parties can happen in a trustless manner without depending on a third party or an escrow manager plus there is no default risk on either side. Simplistically, in this type of exchange, no party can run off with the other party’s money before the trade is complete and this is ensured by the cryptographically powered smart contracts of atomic swaps. In computer science, it is called atomic because the trade happening is whole/indivisible, unlike the one we have on centralized exchanges or escrow manged exchanges like Local Bitcoins. Therefore, while engaging in an atomic swap, the trade will either happen and both parties will receive their respective coins or the trade will not be successful. In other words, there is no middle ground involved in executing the atomically swapped trade. Atomic swaps are also often called cross-chain atomic swaps, meaning, two different cryptocurrencies that are present on different chains can be exchanged atomically without any trusted third party and there is no exchange/trading fess involved in this. Note: Different businesses that implement this technology can add a fee structure for providing this service because these swaps can only be done by command line and are not as user-friendly as you would expect. But even if businesses charge you a small fee, it will be safer than trading/exchanging on centralized exchanges. To get into the technical details of how the whole process takes place cryptographically, read more about atomic cross-chain trading. 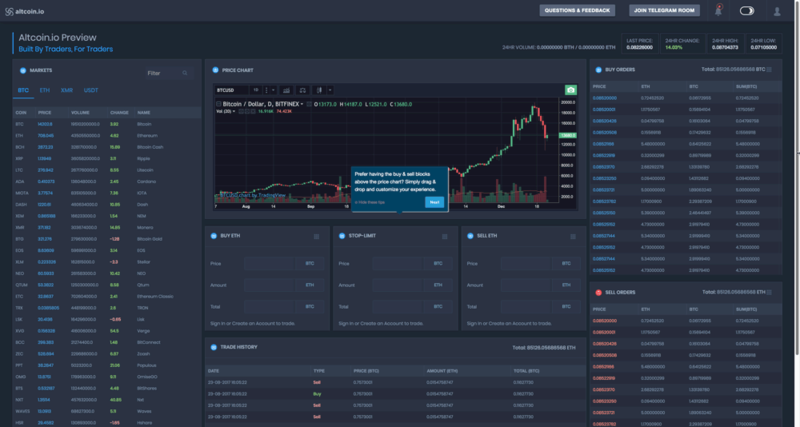 Atomic swaps open up a whole new way of looking at crypto trading. This technology can be used when two parties have to make a very large or a very small OTC trade. Imagine you need to exchange 1000 BTC with 50,000 LTC. I am sure you would neither use a centralized exchange that is prone to hacks nor will you trust an escrow manager. In this case, by simply using the atomic swap technology, you can exchange your 1000 BTC into 50,000 LTC without trusting an exchange or escrow service. Also, you can be 100% sure that even if the trade doesn’t take place successfully, you will not lose your 1000 BTC because of the atomic swap tech. These swapped transactions if done, would happen on-chain and hence would be subject to all the limitations that both involved chains already have. For example, in LTC/BTC atomic swap, the miner’s fee on respective blockchain would be deducted and the transaction completion times can be subject to Bitcoin’s mempool size at the moment of atomic trade. Litecoin and Vertcoin Atomic Swap were done in the same month but it is still at work. 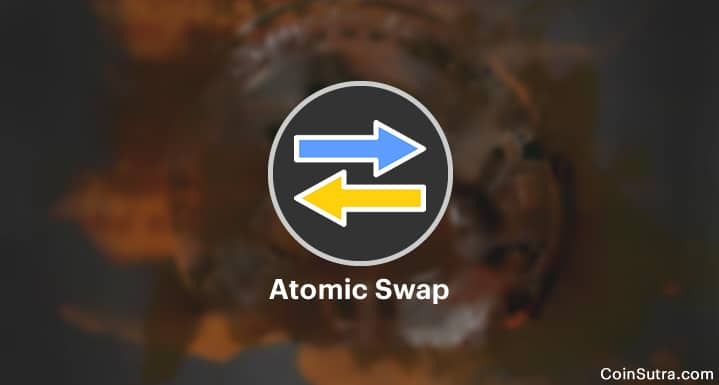 Atomic swaps are still a new thing. That is why they are still being discussed, refined and tested. In a crisp sentence, they are not yet mainstream. Both currencies that are being exchanged must have the same hash algorithm. Both currencies should support time lock contracts. You need certain programming skills to use atomic swaps as of now. These limitations are huge barriers to mainstream adoption but you need not worry because the cryptosphere industry is well aware of all these limitations. That is why solutions like off-chain atomic swaps powered by Lightning networks is also being tested and refined for mainstream adoption. The off-chain atomic swaps will hopefully overcome all the challenges and limitations put forth by on-chain atomic swaps. However, it is still early days. See the details of the off-chain atomic swaps that happened recently. As far as the future of atomic swaps is concerned, it is safe to say it looks bright. I dream to see a decentralized exchange or service that would leverage both these on-chain atomic swaps and off-chain atomic swaps according to their merits and make this whole ecosystem more secure. Another thing that these atomic swap services will focus on will be the user experience, failing to which it would be too difficult for non-techies to use this. In the end, however, it would be interesting to see how it plays out and hits mainstream because this technology has the potential of making services like Changelly/ShapeShift. That is all I have to say about the atomic swaps in this article. I will be back with another article on atomic swaps and talk about different types of atomic swaps that are being tested. Until then, stay connected and keep learning about the cryptocurrency and blockchain revolution with CoinSutra. What do you think about atomic swaps technology? Do you know about any more atomic swaps tests that are being done? What practical applications do you see atomic swaps being used for? 1 What is Atomic Swap? Excellent article. Thank you so much, Sudhir. Guess it’s about time to look up Blocknet. They’ve been doing atomic swaps since April 2017 and they’re building the decentralized exchange that you’re looking for. The atomic swap feature is awesome, but hardly any exchanges wallet supports it. The existing exchanges charge an hefty amount for withdrawals and deposits and also take a big amount for trading. And still the level of support is pathetic. They will be outdated once this new exchange starts which has a wallet with atomic swap. They will launch soon, register while you still can. As it has happened with other exchanges they might close the registrations. What is meant by this? Am I missing something? Litecoin uses the scrypt hashing alorithm and Vertcoin uses Lyra2RE(v2). That’s really a informative post specially your topic about “Atomic Swap” . Thanks for sharing this informative posts. Keep it up!